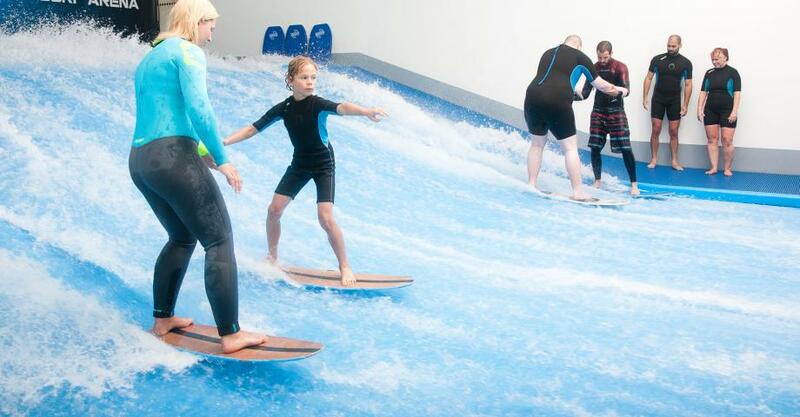 Organize the best family vacation with the Indoor surfing family fun pack in Prague. See your kids with their eyes wide with amazement and a second later jumping with joy when you announce you are going surfing in Prague! 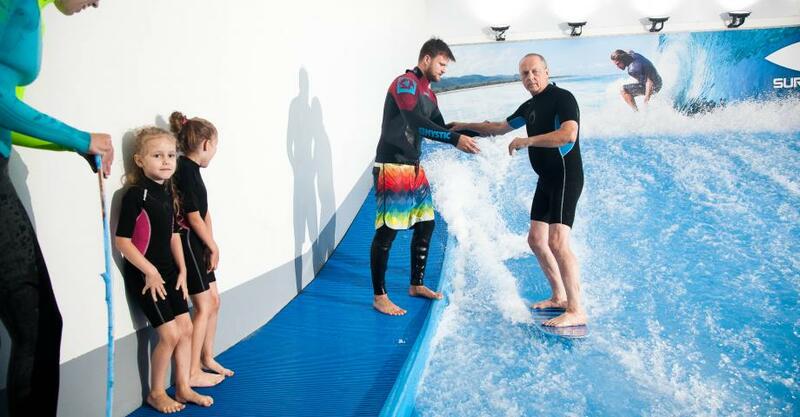 Embark on a family trip to the surf arena and have fun riding waves of a surfing simulator with the guidance of our experienced instructors. Your kids can delve into the surfing lesson while you relax in an adjoining café and watch them having the time of their life. Make your family holidays a fun adventure with activities for kids they love. Take them surfing in Prague and they will happily go sightseeing with you the next day, guaranteed. The Indoor surfing family fun pack is an experience for 4 persons in total with at least 2 children included in the group. 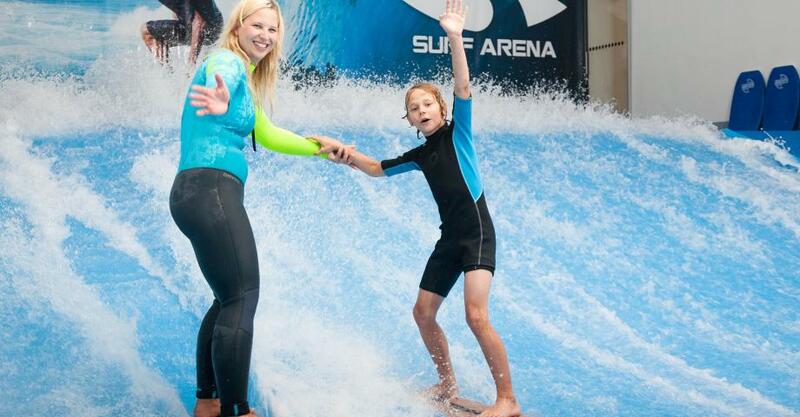 Surprise your family and take them surfing in Prague! Enjoy this original experience and get a video recording of your rides as a bonus. Please, come to the activity min. 45 minutes before its start. The activity is suitable for any person older 5 years. Kids under the age of 15 must be accompanied by an adult. 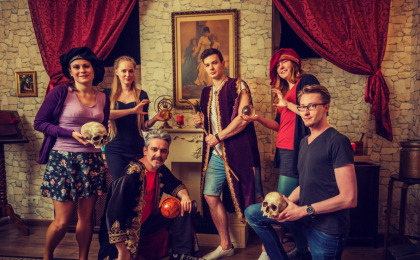 This activity is designed for 4 family members (2 kids minimum). Spectators are allowed. They can stay in the hall with the bar and the view of the pool. Bring your own swimsuit, towel and toiletries - as if going to the pool. If you forget, it does not matter, you can get everything necessary at the reception for a small fee.